Seals doorways up to 4’ x 8’ (1.5m x 2.5m). 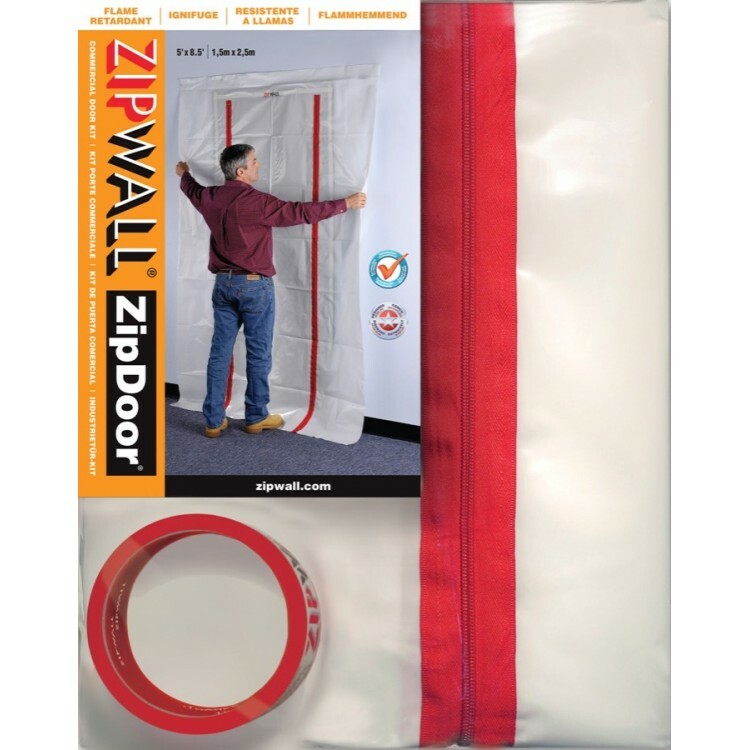 Made from 4 mil flame retardant plastic sheeting. Commercial ZipDoor® Kit contains one ZipDoor®, two flap hooks, and one roll of 1’ x 24’ ZipWall® Double-Sided Tape.